We have a new rock and roll-themed wedding invitation set for all of you rocker brides and grooms out there. 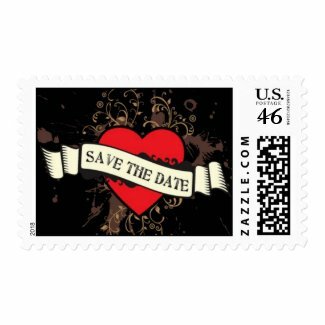 The set comes with wedding invites you can customize online, RSVP postcards, save the date cards, thank you cards, wedding binders, rock and roll save the date postage stamps, and more. Visit the shop to see our other rock-themed wedding paraphernalia. If you need help in planning a rock and roll-themed wedding, click on the link for a guide.